You may never know whose Hero you are! Preacher and author, Joel Osteen says, “Discover the Champion in You.” I was so excited when I learned I had an opportunity to see him personally at one of his services. I was in Houston Texas for convention a few years back and made arrangements to catch a cab to the service with some other attendees. When we arrived we were greeted by a nice young gentleman who graciously took us to our seats. As if by special invitation we were escorted to the second row, in and arena that seats over 30,000 in weekend services! My seat was directly behind his mother in the first row. I have come to call these extraordinary meetings divine intervention, how else could you explain my ending up in his service in the second row? Joel was talking about how each and every one of us can make significant and positive differences in people’s lives, on purpose or even by accident! When it is all said and done we will be remembered by what we give, not by what we won or what we have. He reminded us that we must not lose track of where we came from or of the people that helped us along the way. He noted we are all Champions in our own right, and we many never know we are a hero to someone! I was blessed. I had heard an awesome message. So inspired I headed to the bookstore to do some follow up reading, this led to a chance meeting. 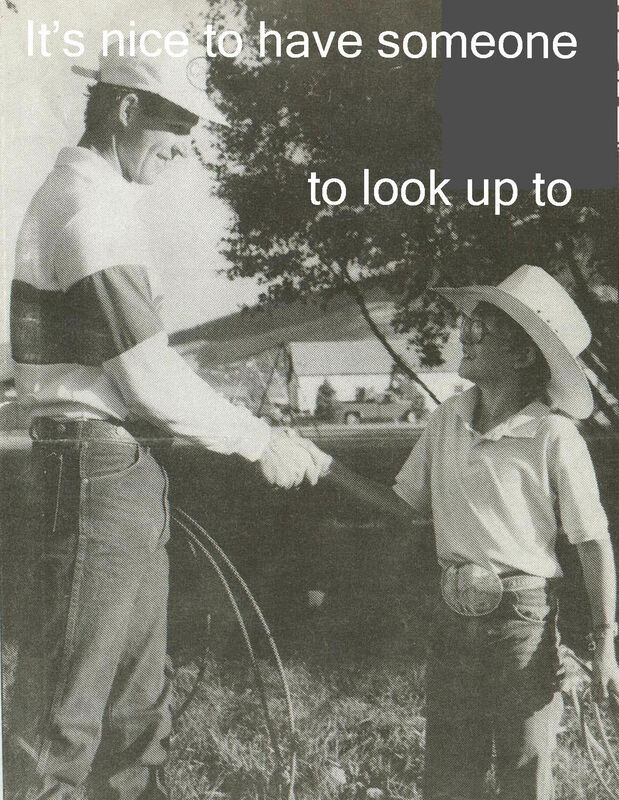 In the rows of books stood a CHAMPION, PRCA legend and world champion cowboy Trevor Brazile. We visited for a moment then as he turned and walked away I thought back over the day and about the interactions I had that day. From the people who asked me to join them and share a ride to the service, to the nice man who escorted us to the second row, to the message that Joel gave, and finally to the chance meeting with a World Champion in a book store. Joel had reminded us that we never know when someone will be watching or whose hero you are. How powerful is that? Every contact point is an opportunity to be a Champion. You may never know whose hero you are.